We are pleased to introduce A Writer’s Life, an occasional series on the JHUP Blog featuring interviews with the authors included in our Johns Hopkins: Poetry and Fiction series. 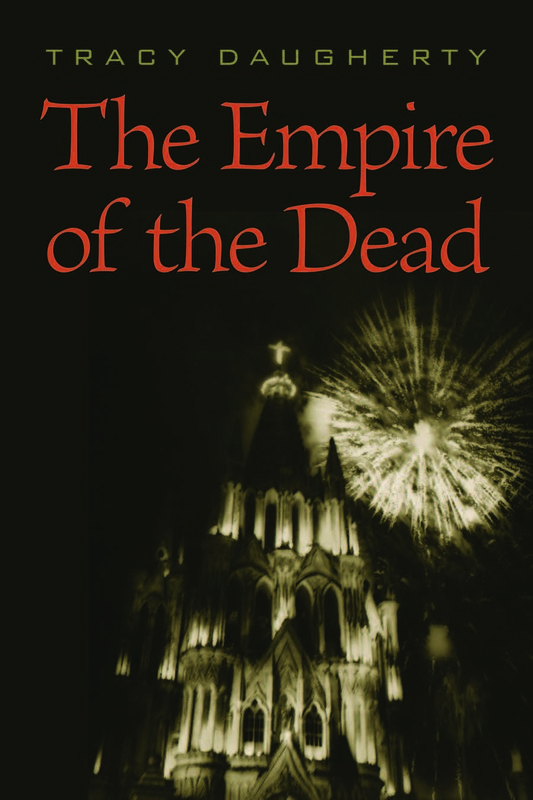 First up is Tracy Daugherty, author of the recently published collection of short fiction, Empire of the Dead. Five out of seven of the short stories in your book—including the titular story—feature the character of Bern, a divorced, middle-aged architect who feels profoundly alienated from his colleagues and neighbors. What drew you to him? Why did his voice become the presiding perspective in the collection? Bern’s DNA was formed over thirty years ago, though I didn’t know it at the time. In the early 1980s, when I was a graduate student at the University of Houston, my teacher, Donald Barthelme, gave me a book one day: On Adam’s House in Paradise, by Joseph Rykwert. It was a book about architectural origins—speculations on what the first human shelters might have looked like and what materials might have been included in their designs. Architecture was not a particular interest of mine in those days. Don didn’t say why he’d given me the book, what he thought it had to do with me or my work. We never talked about it, even when I brought it up with him later. The book was way over my head, then, and I didn’t finish it. I forgot about it until nearly twenty-five years later when I spotted it, randomly, on my bookshelf, took it down, and began to read it. It stunned me. The concerns with history, culture, place, and shelter—material and spiritual—dovetailed precisely with the obsessions I’d pursued as my writing developed over time. Don saw something in my way of thinking long before I did: he planted a seed that he knew would flourish someday. This is the magic, the drama, and the risk of teaching: you never know when a lesson will take: maybe instantly, maybe half-a-century later. In Thomas Pynchon’s words, I’m a slow learner. Bern’s character began to evolve out of Rykwert’s playful speculations. I envisioned a contemporary urban man whose job is to build shelters for the Here and Now, but who also knows the importance of Origins—for it’s in the origins of an activity that the essentials are revealed. In the case of architecture, we can fancy-up the façade all we want, but the essentials, which we can never ignore, are warmth and protection from storms. In many ways, of course, this is a powerful metaphor for any kind of human endeavor. Bern’s solitary nature accords with the literary tradition of the flaneur—the lone city walker, the figure who both observes and embodies his surroundings. Bern stands apart from much of the life around him, but I don’t know that he’s alienated, exactly—to me, it’s a little like the distinction between depression and melancholy. The depressive’s passivity is a form of paralysis and surrender, whereas melancholy sadness is a deeply-engaged awe: in Nadine Gordimer’s beautiful formulation, it’s a matter of viewing and accepting the world as if you were already dead; seeing yourself not as the center of anything, but as a vastly unimportant participant in the wonder. I think that’s the tribe to which Bern belongs. And I’m happy to say he seems to strike a chord in certain readers. Clyde Haberman, who for years wrote a column about Manhattan life for the New York Times, called me out of the blue one day after reading one of the Bern stories, and said some of Bern’s post 9-11 reflections perfectly caught the mood of many New Yorkers. He mentioned Bern in one of his columns, so the character has taken on a life beyond me now. I’m pleased for Bern. I should add that he seems to be sticking around. Since finishing The Empire of the Dead, I’ve written five more Bern stories, following him as he weathers our particularly turbulent cultural moment. I’m no Updike or Richard Ford, but I like to think Bern is a raggedy cousin of their wonderful characters Rabbit Angstrom and Frank Bascombe: a sort of Everyman out there testing the waters for us. All of your stories are deeply invested in and evocative of place. You pay special attention to New York City, Oklahoma, and Texas (where you grew up), although the characters also ponder escaping to more dreamy foreign milieus, which often seem like stand-ins for Paradise. Bern, who is deeply entrenched in NYC, is originally from Houston, and the echoes of that past still resound in his more culturally urbane present. Why is place so important to you? And how do you incorporate so many vivid, visually-oriented, place-specific details (about, say, the Catacombs of Paris) into your work? Do they come from personal experience, from historical research, from long-ago coursework? I love your phrase, “stand-ins for Paradise.” That may be the best definition of “place” I’ve ever heard! Wherever we happen to linger on this poor old battered planet, we try to make our living space as comfortable as it can be, and it almost always falls short of our expectations and needs. That’s what it means to inhabit place: striving for something always out of our reach. Our occupations of acres and rooms reveal our longings—that’s why “place” is so important to me in writing stories. Whether or not the Platonic view is an accurate depiction of existence, it’s certainly rife with tension, paradox, and drama, all of which are good for storytelling. Dante’s The Divine Comedy is perhaps the supreme example of the powerful literary uses to which this conception of place can be put—though he was not, strictly speaking, a Platonist. Aristotle was his man! The concrete, recognizable Italy of Dante’s day becomes inseparable from abstract notions of Heaven, Hell, and Purgatory. In Dante’s telling, Italy is Hell. Every year, I re-read Dante in various translations and I’m still learning from him, though he moved through a very different universe (one apparently more orderly) than we do. In the title story in The Empire of the Dead, the scene in the Paris Catacombs is fairly autobiographical. I’m not interested in autobiography per se, but I am fascinated by the tension between how fleeting life is, moment by moment, and how desperate we are to hold on to it by remembering those moments, turning them into anecdotes to tell our friends, by writing about them in our journals and diaries—or our fiction—by Tweeting about them and snapping digital pictures. All documentation is Elegy—and it’s all futile, which is sad and beautiful, beautiful when we recognize that it’s the fleeting quality of life that gives each moment its absolute value. Each story in the book mixes high and low (or popular) culture. There are constant references to historic and contemporary newspaper headlines, jazz drummers, artists such as Robert Rauschenberg and Joseph Cornell, writers from Shakespeare to Edith Wharton, and, of course, in Signs, multiple references to Janis Joplin. Why are you so interested in these kinds of lists and juxtapositions, this rummaging through art and media? “Rummaging” is right—like climbing into a cobwebby attic and inventorying all the stuff in boxes you’d forgotten had composed your life, like those old Janis Joplin records! List-making is a humble activity, as mundane as checking off the groceries for the week, and yet it’s also profound: a cataloguing and ordering of our world. Music, art, news dispatches—each of these is a filter through which we try to understand experience. We mix and match these filters and still we know so little. The attempt to know, as well as the vulnerability that drives the attempt, are powerful elements in storytelling. Specific cultural references are ephemeral—in and of themselves, they’re not so important, but their inclusion, if handled smartly, can lend an elegiac tone to a tale. “Nothing left to lose,” Janis sings—oh, but there is, there is. For years I had on my office wall a facsimile of the inscription on Shakespeare’s tombstone: “Bleste be the man that spares these stones / And curst be he that moves my bones.” You know how people will place a sheet of waxed paper on a grave marker and make rubbings from the stones? I once thought of a name for this—“Rubbage,” the echo of “rubbish” in the word indicating the act’s ultimate uselessness, even as “rub” suggests a lovely sensual engagement with the materials. In many ways, this is the essence of writing, the relationship of the writer to the surrounding culture: you press your consciousness hard against the world to see what will rub off on you. Look for part two of our interview with Tracy Daugherty on Wednesday on the JHU Press Blog. Tracy Daugherty is the author of five short story collections, four novels, a book of personal essays, and three biographies, including the forthcoming The Last Love Song: A Biography of Joan Didion. He has been a recipient of fellowships from the Guggenheim Foundation and the National Endowment for the Arts.